What are words of affirmation? Words of Affirmation is learning how to talk to God or transforming ourselves to a spiritual place of contentment, is like New Birth. Today I would like to examine New Birth, life, raising our consciousness. What does all this mean? Jesus said “We must die to be born again” he didn’t mean it literally. What he referred to was letting go of the old self and raising our spiritual consciousness. Jesus talked a lot about living life to its fullest with no limitation, love everyone as you would love yourself. We as human beings spend a lot of time wondering what life is. What is our part in this (our destiny) or how does God fit into it? Do you think God really has a part in our lives. We as humans seem to have the unique way of destroying ourselves emotionally, physically, and spiritually in the name of being human. How often do we hear, we don’t have control over our life, destiny is just not on my side, good things just don’t happen to me. Are you being controlled by your thinking? These are all Words of Affirmation. It does not matter if they are intentional or not. The Universe will give you exactly what you ask for. Is the life you are now living unacceptable to you? Do you feel trapped, out of control? The kids are driving you crazy? Work, or maybe your boss is causing you grief. Life is just not working for you? The question is maybe you are not working with life. Life is going on around you whether you get involved or not. If you don't like your life, change it. Did I hear someone say what’s he talking about? How am I going to change my life? I can't change the world. I’m not God. This constant chatter in your head are Words of Affirmation. Well I'm here to tell you, it can be changed, at least your part in it. How you receive life, and how you react to it. Yes, you can change your life. Each and everyone can learn how to take control of their lives, and make it work for them. It is you birthright. God gave it to you. Jesus told us the Kingdom of Heaven is at hand. Everything Jesus preached about were Words of Affirmation. We are all born of one God. God is manifest in us as us. God gives us natural laws to work with, spiritual concepts as you will. We just need to learn how they work. Science of Mind and the whole metaphysical movement teaches us how we can do this. God gave each and everyone of us control over our own lives. That’s right. And this one essence, this one unique being, this one magnificent spirit, or whatever you call God, gave us the intelligence to know all we need to know. Living as human beings it seems the older we get, we unlearned all we ever needed to know and now is the time for new birth, to be reborn of this spirit. We just allowed our lives to have a human EXPERIENCE. We must now evolve the point of consciousness where we can know our oneness with God. The reason we are so unique is because God lives in us, as us. That is how God experiences life. Life is good, very good. That’s because it’s God's life. It is the life we are all living now. 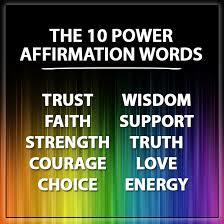 If words of affirmation help you to realize this then they are extremely important. So take the time to be aware of the answers that come to us every day when we pray or meditate. Also do not forget that those mere coincidences we experience are always trying to tell us something. Be open to them. This next part are some very powerful Words of Affirmation. God wants us to be happy, successful, in all that we do. There is no disharmony in God's world. life is perfect in every way. See how you fit into the perfect picture. Believe you are perfect and embody it. We will start to see the perfection of all life. Change your life today don’t accept the unacceptable. From this moment on, you now have a choice, you now know you can make a difference. Accept your birthright, your oneness with God. Accept this wonderful gift God gave us all. Self knowingness. We have it all. Its up to us to accept it. 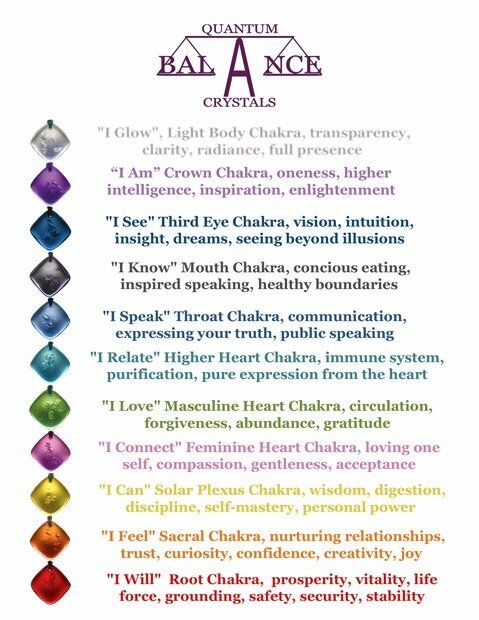 Use these words of affirmation for your highest good. I am going to give you a prayer. Take the time to read the words, feel what the have to say. Feel how they resonate in your body. Take a moment and close your eyes and relax in God’s peace. And say “There is one God, one mind. I am using this one mind I am living this one life now. I speak these words for myself and everyone in my life. Right now and from this moment on I without any reservation at all will live these words and I know they will manifest in my life. I are now seeing and living the perfection God gave me. I now embody this oneness and share it with others. I will be friendly and harmonious in any way possible. I am now the loving “Mother or Father I am now the loving friend and co-worker. I cannot contain this love, this love for life, this oneness and my love for all people just as God loves me. I am now and always will be a perfect manifestation of God. I am now Experiencing life through the eyes of God. I give thanks to the Father, Mother, God, this one pure essence of love, and release this prayer into the law of mind. This one perfect and creative medium (God). This perfect [GOD] This perfect creative essence will now do the only thing that it is here for and reflect my word back to me as reality. It is now manifested in my life.